If you cannot control OR influence a change you still have two choice. 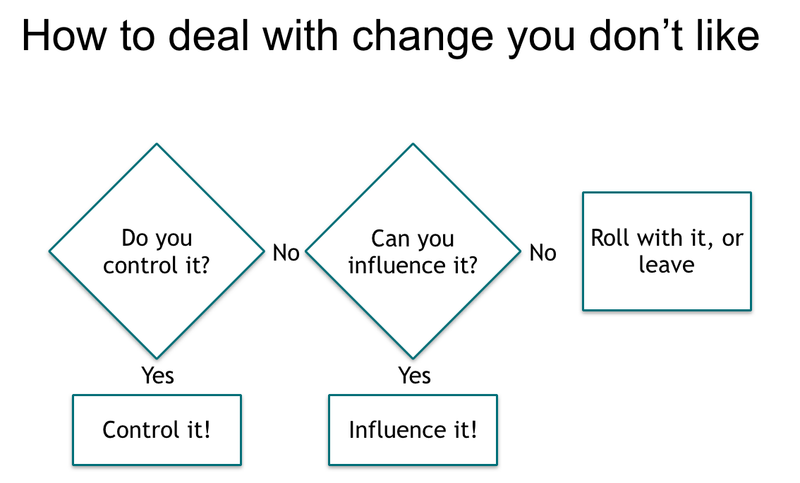 You can roll with -- or you can move on. Any other worry about the change is simply wasted effort with zero benefit. The next time you are offered a change, think about YOUR choices.